Libby Hart‘s most recent poetry collection is This Floating World (Five Islands Press, 2011). She is a recipient of an Australia Council for the Arts residency at the Tyrone Guthrie Centre at Annaghmakerrig in County Monaghan, Ireland and a DJ O’Hearn Memorial Fellowship at The Australian Centre, University of Melbourne. 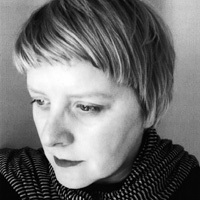 Her first collection of poetry, Fresh News from the Arctic (2006) received the Anne Elder Award and was shortlisted for the Mary Gilmore Prize.